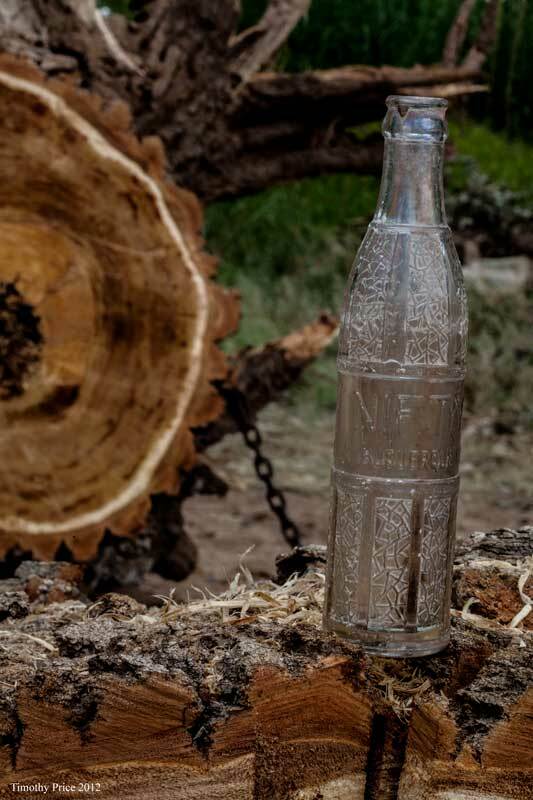 I found this Nifty Albuquerque soda bottle in the center of the roots of the cottonwood tree we had the demolition crew push over. I found one museum site during my Internet search about Nifty Albuquerque that had a list of soda bottles and when they were made. They placed Nifty bottles between 1945 and 1950. The bottom of the bottle shows it was bottled by Dr. Pepper in Albuquerque and includes the number 48; however, I don’t know if the 48 refers to the year, the batch the bottle was produced in, or some other number. But given the fact that we found “April 1947” inscribed in the footing of the two room addition, I believe it would be safe to assume this bottle was discarded at the base of the young cottonwood in the late forties or early fifties.